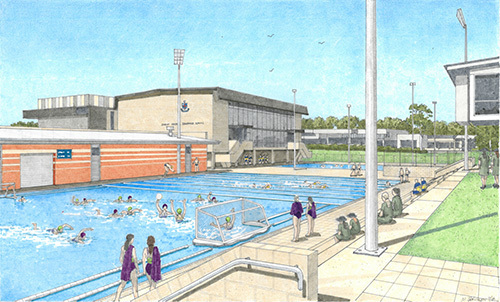 The Methodist Ladies’ College (MLC) Foundation is proud to support the development of the MLC/Christ Church Grammar School (CCGS) Aquatic Precinct. Our partnership with CCGS to develop this unique facility reflects a shared commitment to providing world-class facilities for our students. The Aquatic Precinct will comprise the existing CCGS 50-metre pool along with a new 40-by-25-metre heated pool on MLC land. This new pool will be multipurpose. It can be used as a 25-metre lap training pool, an Olympic-sized water polo court, or two 20-by-25-metre water polo training courts. Having these facilities available at MLC will make a tremendous impact on student well-being, water safety proficiency and water sports success. As the College continues raising vital funds to help complete this project, the MLC Foundation is delighted to facilitate a parent-initiated event which will bring the whole College together for a day of fun and philanthropy. The House Splash or Dash will be held on Thursday 16 May, giving every Kindergarten–Year 12 girl a chance to help raise money for the Aquatic Precinct while also earning points for their House. While our Service Learning programme supports many external organisations, parents have voiced their support for this opportunity for students to give back to their school. 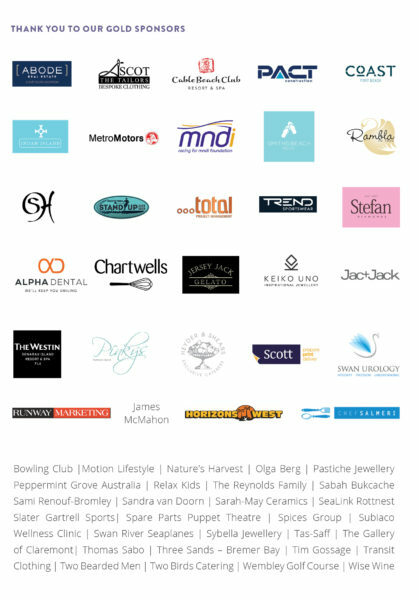 With every girl’s participation we hope to blow our Splash or Dash fundraising target of $200,000 out of the water. Students will be encouraged to choose to either Splash laps in the CCGS pool or Dash around the MLC Oval. Parents are invited to participate in corporate or family races against peers or staff, and to come along to watch the lunchtime novelty races. Much-coveted House prizes on offer include a free lunch for the House with the highest fundraising total, and highly sought-after Spirit Cape and Sports Cup points. Please look out for further details on how to support your child’s involvement. Parents will receive a link to their daughter’s House donation page, which will make contributing straightforward for family and friends. 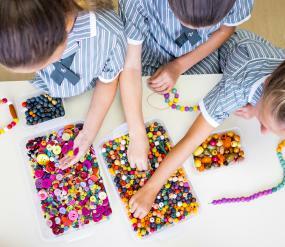 We encourage students to play their part in raising funds by completing chores and being enterprising. Along with great fun and excitement, this community event will provide a valuable opportunity for all of our students to take part in a philanthropic cause and witness the impact of giving—it really is an intergenerational gift. Every girl and every donation counts. Make a donation to your House today. The MLC Foundation would like to reiterate our sincere thanks to everyone who contributed to the MLC/CCGC Aquatic Precinct in 2018. Your generosity enabled us to approve the commencement of this important infrastructure project and take advantage of the summer holidays to make phenomenal progress. The Precinct will include the existing CCGS 50-metre pool and a new 40-metre by 25-metre pool adjacent to the Meredith Taylor Health and Sports Centre at MLC. Both pools will be enclosed by a single perimeter fence. This new pool will be multi-purpose. We can use it as a 25-metre lap training pool, an Olympic-sized water polo court or two 20 x 25-metre water polo courts for training. The 50-metre pool at CCGS will be our hub for lessons, training and carnivals. 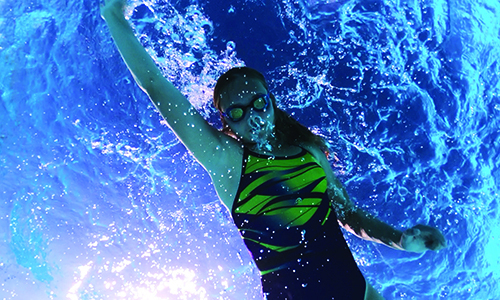 Heating both pools will allow year-round access, and the area will be floodlit for out-of-school-hours use. Allowing time for recreational and commercial use of the Aquatic Precinct. This will be a market-leading facility that benefits all students. We need your help to complete this once-in-a-generation opportunity. MLC is a not for profit organisation, we proudly allocate 100 per cent of expenditure to annual services that support student learning. The provision for capital expenditure on projects such as the Aquatic Precinct relies heavily on the generosity of our community. The College has $300,000 of funds reallocated from the refurbishment of our original pool. We are seeking to put in place a further $1 million and in just a few months our community has already rallied to raise over half of this ambitious figure. We now ask members of our community who have not yet given to this exceptional facility to join other current and past MLC families, Collegians and grandparents as we strive to reach our $1 million target. Every donation counts. Our partner in this project is the Australian Sports Foundation (ASF). You can make a tax deductible donation here or MLC parents can include a donation with a tuition fee payment by completing and returning this form. Our Development Team also welcomes your enquiries on +61 (08) 9383 8856 or +61 (08) 9383 8858 or email foundation@mlc.wa.edu.au. Each year our generous Circle of Success members collaborate to enable funding for the College to complete tangible and worthy projects. Since 2015 the initiative has contributed an outstanding $500,000 which has enhanced the learning experiences of every student at MLC. We invite you to read about the Circle of Success project achievements here. This annual giving circle concept enables families to make a tax-deductible contribution of $1,000 towards an aspirational collaborative gift of $100,000 to the college. This commitment provides an opportunity for families to role model philanthropy through project discussions and enjoy a heightened sense of engagement with the college. We wish to acknowledge our 2018 members. We encourage the MLC community to show appreciation to everyone involved for their generosity and invite conversation about the benefits of being involved. The benefits of a second 2018 project, an Outdoor Satellite PA System, have attracted the support of two other MLC support groups. We are honoured to collaborate with The Friends of Music and Parents of MLC who have each pledged $5,000 towards a total project value of $23,455–$30,000. If you are interested in contributing towards this project, more details are available here. The projects for Circle of Success are decided by the College Leadership Team based on a strict criteria as outlined in the brochure. Each member is entitled to one vote at the Pinnacle of Success vote night, a wonderful occasion where College staff do their utmost to inform and entertain members to secure their vote. The evening culminates in the announcement of the winning project, a moment of celebration as members enjoy a tremendous sense of satisfaction knowing this philanthropic gesture will be enjoyed by students upon completion. Membership for the 2019 Circle of Success is now open. Further details can be obtained here or please make your tax deductible contribution here. We look forward to releasing more exciting project details for the 2019 Circle of Success in the coming months. We are hopeful you will embrace the success this initiative continues to bring our students and look forward to celebrating the completion of another project next year. The MLC Foundation Tuition Fee Raffle is a fundraising activity organised by the MLC Foundation Inc. All proceeds (over and above the prize cost) go towards the MLC Building Fund for the purpose of the pool project to benefit all MLC students. There are three opportunities to win the Raffle throughout the year. Each family is given the option to buy one raffle ticket through a voluntary amount on their respective Tuition Fee account, three times a year. Additional tickets can be purchased by contacting the MLC Office of Development on (08) 9383 8858 or foundation@mlc.wa.edu.au. The cost of a ticket in each raffle is $33. First prize is a credit of $9,298.00, the equivalent of one third of the 2019 Year 12 tuition fee for a locally enrolled student. When you give to the MLC Foundation you create a connection with our College that can last across generations. 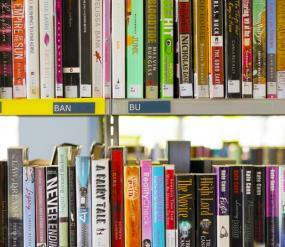 Tuition fees alone will not secure the long-term future of MLC as they pay only for operational costs. The College facilities that exist today were achieved through the generosity and foresight of past and present MLC community members. Some recent achievements made possible by generous contributions from the MLC community include the construction of the Middle Years' building (2009), the Meredith Taylor Health and Sports Centre (2010), the Boarding House redevelopment (2015). 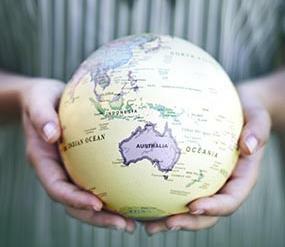 In scholarships we have partnered with Shell Australia to provide a Regional Science Scholarship and with the S.A.S. Resources Fund to provide an education for one of their beneficiaries should the need arise. The Foundation relies on the philanthropic assistance of the wider community and ensures its supporters are acknowledged and valued. All donations to the Building Fund and the Scholarship fund are tax deductible. You can contribute to a new facility or help preserve part of our heritage. Your contribution to our Scholarship fund makes it possible for outstanding young women to receive the benefits of an MLC education. You may like to attend an event or make a gift of your time. Which ever path you choose, we invite you to assist the MLC Foundation as it works to support our current and future students. Make your donation to the MLC Foundation today. Make an online donation to the MLC Foundation Building Fund. Make an online donation to the MLC Foundation Scholarship Fund. Make a donation via direct deposit, cheque or credit card. All donations over $2 to The Foundation Building or Scholarship Funds are tax deductible. View the MLC Foundation Refund Policy here. Established in 1987, the MLC Foundation actively fosters the strong culture of philanthropy within our community. The Foundation supports the College's values and assists in strengthening its educational reputation. This is achieved through a close alignment with the College's Strategic Plan and the provision of funds for the development of facilities, scholarships and strategic initiatives. The Foundation is committed to creating sustainable philanthropic programmes that will build a lasting source of independent income for the benefit of future generations of girls. Our students today have access to excellence in education, an outstanding co-curricular programme, scholarships and facilities that are the result of years of support and philanthropy. 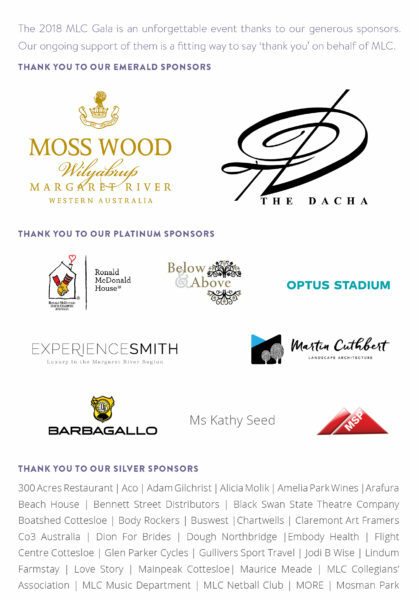 The MLC Foundation engages our community through events and initiatives including Foundation Dinners, the Tuition Raffle, Annual Giving, our Amazing Women breakfast series, the MLC Gala, the Foundation Future Levy and Circle of Success. We hope that you will join us on our mission to build upon the generosity of previous generations to meet the needs of the future. To read more about the MLC Foundation please read the following Annual Reports. The MLC Foundation is overseen by a dedicated and committed Board that governs through a transparent and sustainable business model. James is the Managing Partner of Resource Capital Funds (RCF). He co-founded RCF in 1998 and oversees all aspects of the its management. Prior to launching RCF he was a natural resources sector banker with N.M. Rothschild in Australia and the U.S., and with Standard Chartered Bank. He began his professional career with BHP Limited. He is an honors graduate in Economics from the University of Western Australia. James was appointed as Chair of MLC Foundation (Inc) on 9 May 2012 and also chairs the Foundation’s Prosperity Committee. Andree Megson is Chair of the MLC Foundation Development Committee and joined the Board in November 2015. Andree is a Director of McIntyre Management and Marketing and has more than 16 years experience in marketing and public relations consulting and planning for a range of industries. Andree is also a Philanthropy Manager for The Black Swan Theatre Company and Business Development Manager for the Telstra Perth Fashion Festival. Rob is Chair of the MLC Foundation Audit, Risk and Compliance Committee. He is a Partner with PricewaterhouseCoopers (PwC) and is a Chartered Accountant and admitted to the practice of law in the Supreme Court of Western Australia. He has more than 18 years’ experience specialising in international tax and mergers and acquisitions. Formerly based in Melbourne where he worked with a number of large multinational groups, Rob also spent time working with PwC in Washington DC. After moving to Perth nine years ago, Rob now runs PwC's tax practice in Western Australia. Rob has two daughters at MLC and is also the Finance Director at Co3, Western Australian flagship contemporary dance company. John is a Director of Public and Private companies. His 30 year career spans senior executive positions at major public and private corporates in the mining and resources, construction, building materials, logistics, agriculture and health industries. In addition to managing his own agricultural enterprises, John is Executive Director of Wellard Limited and prior to that was the Chief Development Officer at Hancock Prospecting. John has a Bachelor of Commerce from the University of Western Australia. He is a member of the MLC Council and Chair’s their SAMPC. He has a daughter at MLC. Geoff Pritchard is Chair of the MLC Foundation Investment Committee and joined the Board in October 2015. He has been involved in the financial advice and accounting space for more than 20 years. He has established and run a number of successful firms, including high ranking BRW Fast 100 companies. He currently serves as CEO of Australian Private Wealth, a specialist firm which provides trusted advisory services to a select range of clients including business owners, medical and legal practitioners and senior corporate executives. Bronwyn is the director of a private agricultural consulting company, Kurraian Consulting. She has more than 20 years’ experience working in the Australian and New Zealand sheep breeding industries, with technical expertise in genetic evaluation. She has a Doctor of Philosophy (Genetic Evaluation). Her key skills include strategic planning, project management and communications. Bronwyn was a former Chair of the Rosalie Primary School Board and currently Chairs the City Beach Residential College Local Input and Communication Committee. Cliff is a Partner at Cor Cordis Chartered Accountants and is a Fellow of The Chartered Accountants Australia and New Zealand. He has more than 23 years’ experience in Corporate Recovery and Insolvency, Personal Insolvency, Financial Investigations and Corporate Restructuring. Cliff was appointed to the Foundation Board on 27 July 2011 and also sits on the Prosperity and Audit Risk and Compliance Committee. Marie Perry (MLC Principal) and Nick Henry (Chair of MLC Council) are ex officio members of the Foundation Board. Bosisto Walk, named in honour of former College Council Secretary Mr Roy Bosisto, is located in one of the main entry ways to the Junior Years’ Learning Community. Mr Bosisto was a driving force in securing funding for development of College facilities. 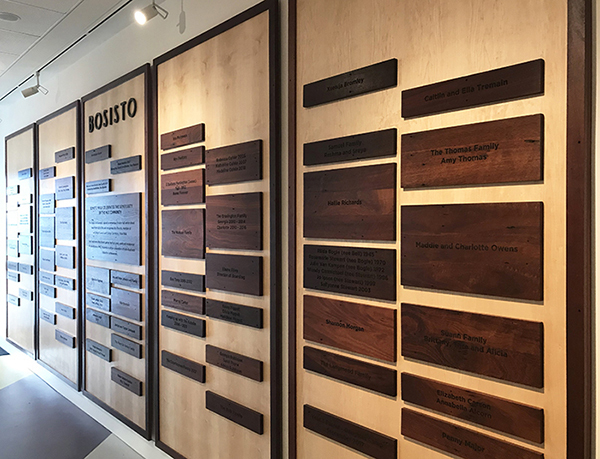 To acknowledge those who share Mr Bosisto’s commitment, and to continue to remember his legacy and long family association with MLC, we have created an honour wall in our newest building. Donations to the Junior Years’ Redevelopment of $500 and above will be commemorated with an engraved portion of floorboard taken from Bosisto Hall, the College’s original assembly and recreation space. All donations to the MLC Foundation Building Fund over $2 are tax deductible. Please complete our payment options form and return to: MLC Foundation, PO Box 222 Claremont WA 6910 or foundation@mlc.wa.edu.au. Should you wish to discuss other opportunities to support the Redevelopment, including the availability of Naming Opportunities, please contact our Director of Development, Megan Keep on +61 (08) 9383 8858 or mkeep@mlc.wa.edu.au.